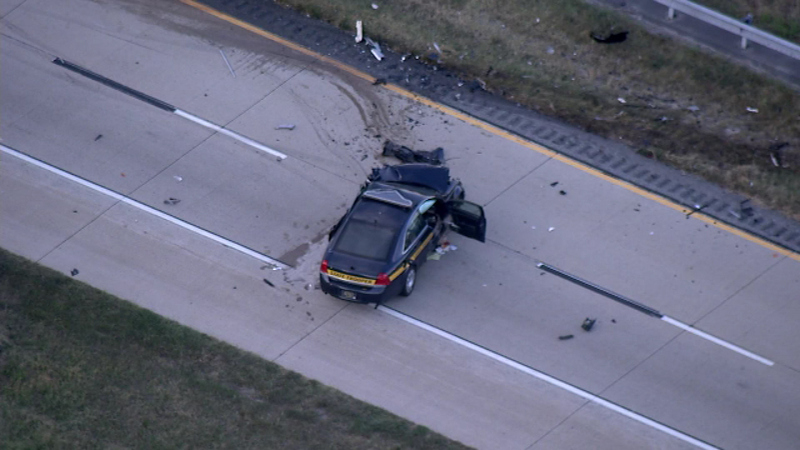 A civilian was killed and a Delaware State Police Trooper was injured in a crash on Route 1 in Dover. DOVER, Del. 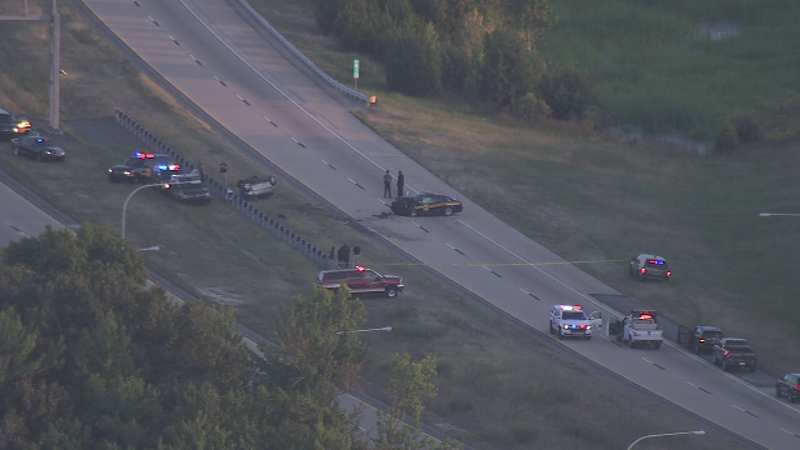 (WPVI) -- Police have identified a man killed in a crash involving a Delaware State Trooper on Route 1 in Dover. The deceased has been identified as 77-year-old Daniel J. Gates of Millsboro. It happened around 6 p.m. Thursday in the southbound lanes at Exit 98. 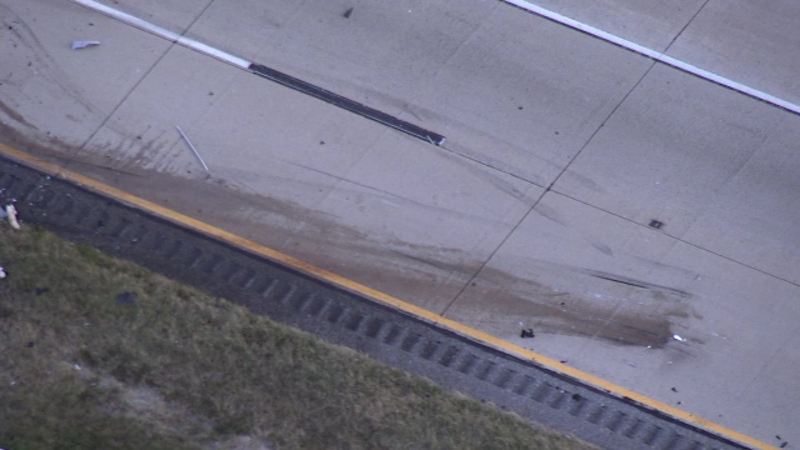 Police say a 2010 Chevrolet Aveo, operated by Gates, was traveling northbound in the southbound lanes on Route 1. 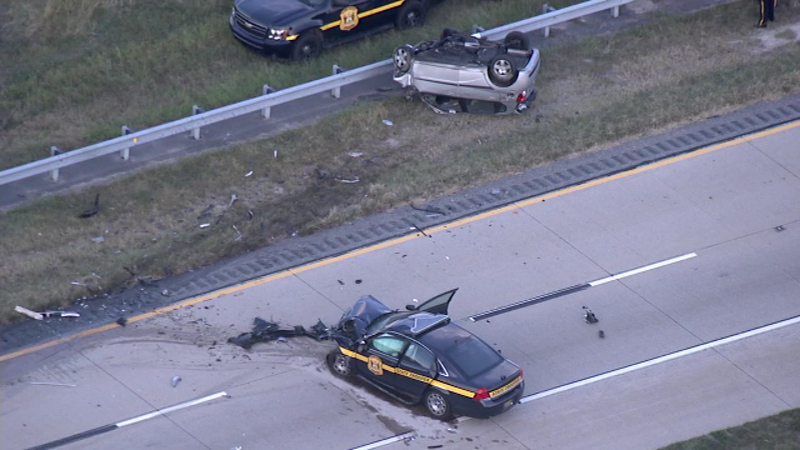 A 22-year-old trooper, assigned to Troop 3 in Camden, was traveling southbound in a marked 2012 Chevrolet Caprice when the two vehicles collided head-on. Gates, who police say was not properly restrained, was pronounced dead at the scene. 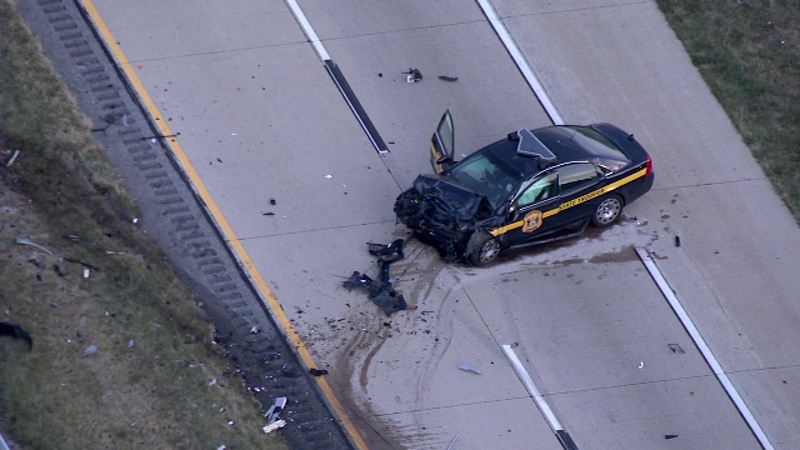 The trooper, who police say was properly restrained, suffered nonlife-threatening injuries. He was treated and released from Christiana Hospital. Police say alcohol does not appear to be a contributing factor. Route 1 southbound was temporarily closed at Exit 104 for hours while the crash was investigated and cleared. It has since re-opened. The trooper's identity has not been released.